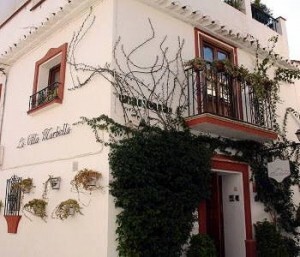 Hotel La Villa Marbella | Marbella Marbella – Adelante! La Villa Marbella is located inside the romantic Old Town of famous Marbella. 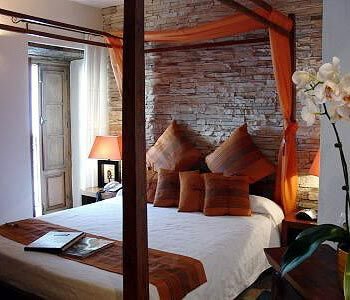 The rooms are fully equipped and carry a very cozy Asian Style yet respecting the Andalusian Style of the house. From the terrace you will enjoy superb views of Sierra Blanca, Old Town and Castle walls. 3 minutes walk to Orange Square, 8 minutes walk to the beach and 10 minutes by car to Puerto Banus. You will enjoy the tranquility of the Old Town but yet close to the major interesting points. You will come back! Located on the heart of the Old Town , this small Boutique Hotel has the most comfortable equipment in the rooms , free internet access to guests , private transfers from and to the airport , extended hours for breakfast and the high level of service provided by its owners and team. Take the advantage of the tranquility of the Historical center with its wide offer of charming Restaurants , walking distance of the beach and shopping area.